Pakistan legend Wasim Akram had the highest of praise for India's young fast bowler, and suggested that Bumrah and himself were products of 'tennis ball cricket'. Akram was renowned for his ability to fire in yorkers at the highest level, and amidst his compliments for 25-year old Bumrah, an explanation as to why these two seamers have been able to bowl such toe-crunching, straight deliveries was also revealed. 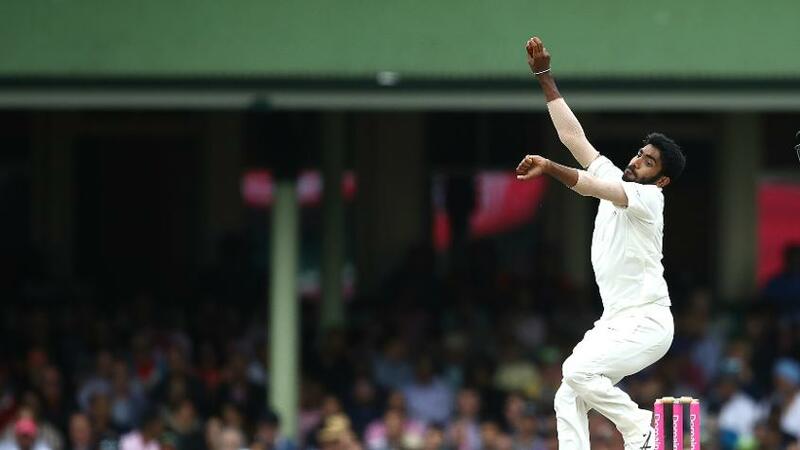 "Jasprit Bumrah has the best and the most effective yorker among fast bowlers playing international cricket now," Akram told PTI. "If you see, whether it’s me coming from Pakistan or Bumrah coming from India, we are all products of tennis-ball cricket. "When you play gully cricket with buildings on both sides and the batsman being deprived of playing cross-batted shots on both sides, they are forced to play straight then. And then you start pitching it up and in the process you learn to bowl at the base and prevent the batsman from going down the ground." The utilisation of yorkers is a staple tactic in limited-overs cricket, however Akram drew comparisons with Bumrah's use of the delivery in the Test arena to his own employment of it for Pakistan, something he and fellow cricketing icon Waqar Younis were known for back in their playing days. "What makes Bumrah special is his ability to bowl yorkers on a regular basis. The yorker is not just used for ODIs but for Test matches too as me and Waqar did in our times. Bumrah has an exceptional action, very different from other fast bowlers and yet he gets the ball to swing and also move off the deck at good pace," said Akram. "He is one of the most pleasant and normal blokes you could ever meet. "@RaviShastriOfc has been gushing with praise for his skipper, @imVkohli. Akram expressed admiration further for India skipper Virat Kohli, lauding the MRF Tyres No.1 ranked Test batsman for his mentality, and claiming that he is also one of the most popular stars in Pakistan. "It is Virat’s mindset that makes all the difference. When I mean mindset, it includes off-the-field preparation also - awareness about all the worldly things, what needs to be done to become the best in the world and it’s not just about having the perfect technique," said Akram. "It is about having a perfect mindset. He is one of the most popular cricketers in Pakistan."